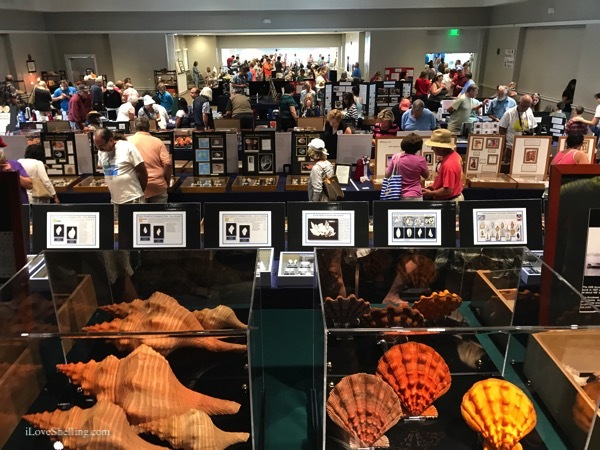 The 2017 Sanibel Shell Festival was spectacsheller! Not only were we shellebrating 80 years of this shelltastic show…. 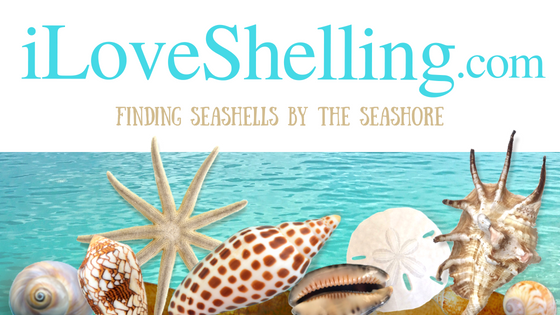 It was the perfect place for me to share the shelling love with Shell Love Bug! 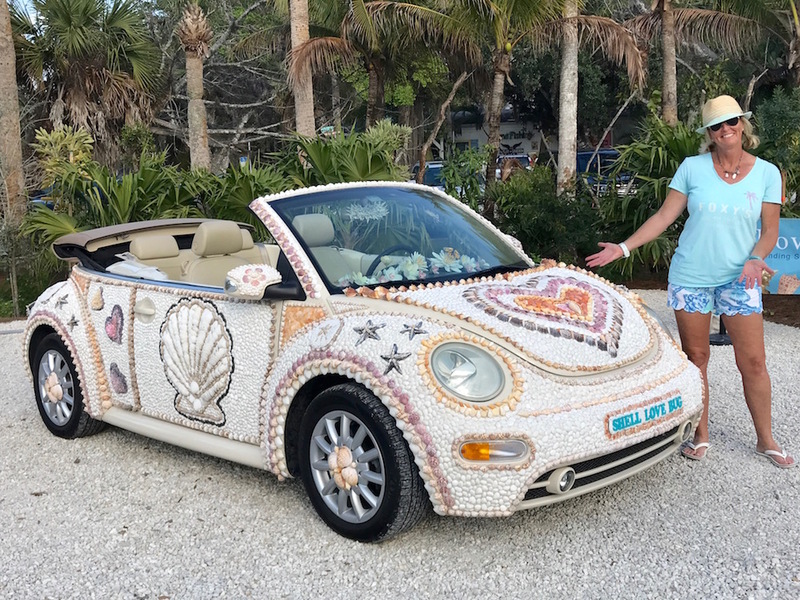 Shelldazzled with over 20,000 local shells, Shell Love Bug is like a Sailors Valentine version patchwork quilt of the shelling community coming together … so what better place than the shell show? 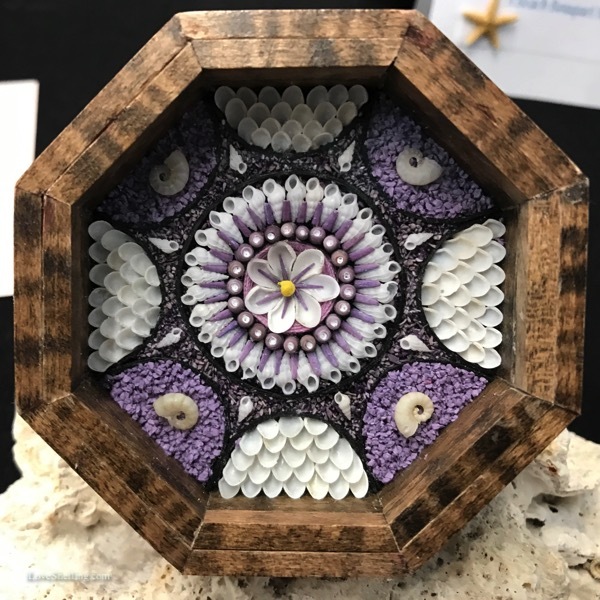 So many beautiful pieces of shell art. 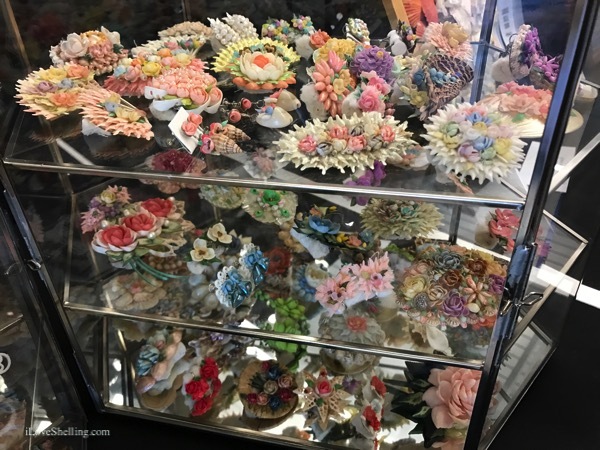 Jeff Oth’s vintage sea shell jewelry exhibit was shellsational. 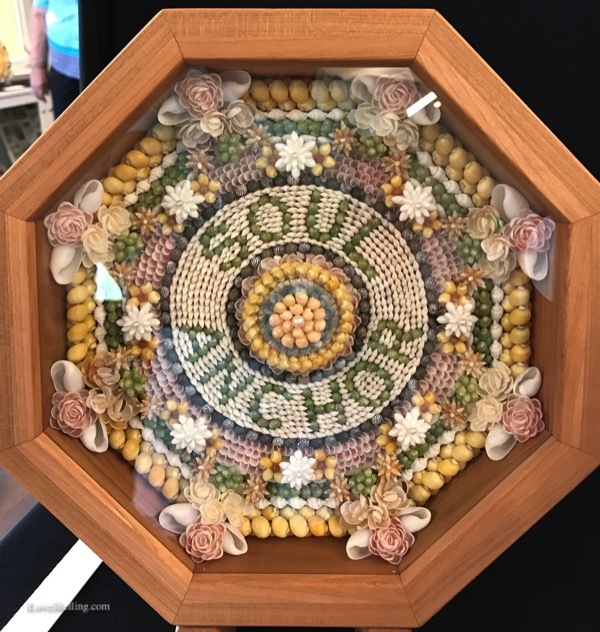 If you look closely at some of the exhibits like this ATLANTIC THORNY OYSTER by Elliot Sudal, the stories are shellmazingly cool. He “caught” this shell in a narly ball of fishing line, weeds and debris while fishing in 70 feet of water. What other fisherman would have realized this gorgeous shell was in the middle of all that crud. 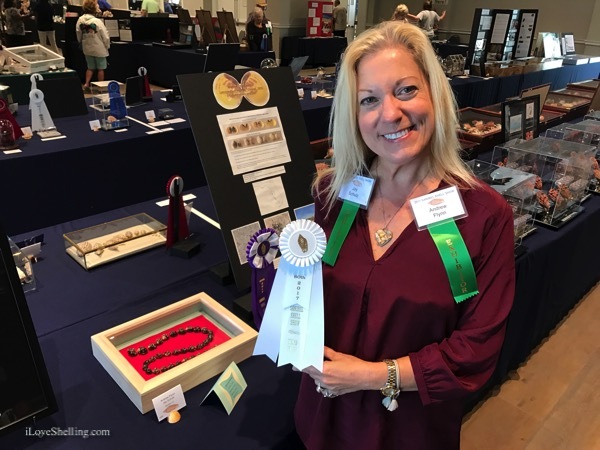 Cutie Shellootie Debi McBroom knew she had something different when she found a DEPRESSED TOP SNAIL at Turner beach. 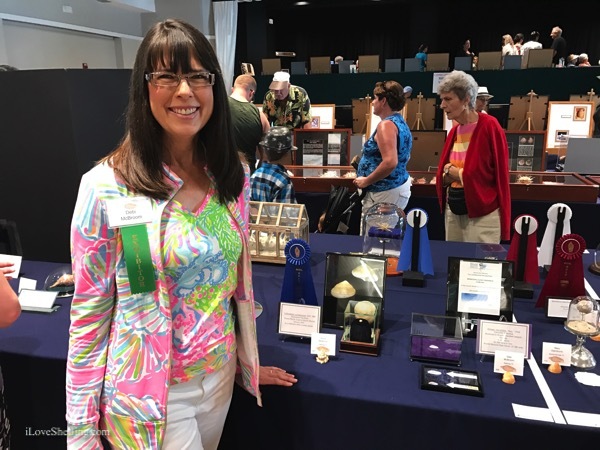 She won a Blue Ribbon for her exhibit of this unusual shell find. What a smile! 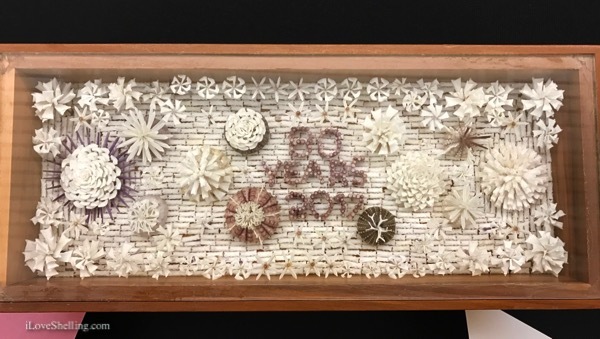 Now that’s some shellove for The Bailey-Matthews Shell Museum’s marine biologist Rebecca Mensch for her blue ribbon LEAFY JEWELBOX. 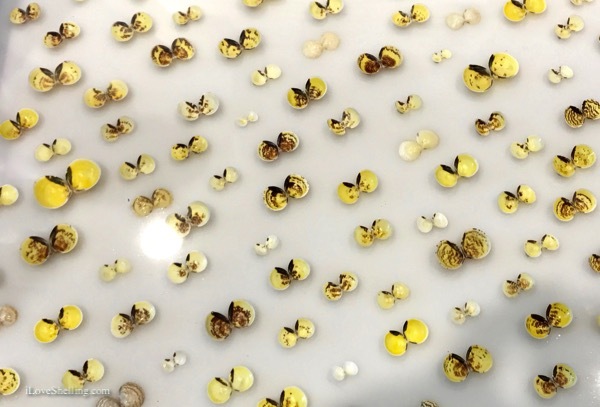 Congratshellations to Andrea and her husband Jay for their prized MULBERRY SHELLS from Muscat, Oman. Sending lots of Shellove and wishes to you both. Hope to see you both pulling up those HORSE CONCHS at the Lighthouse again real soon, okay? 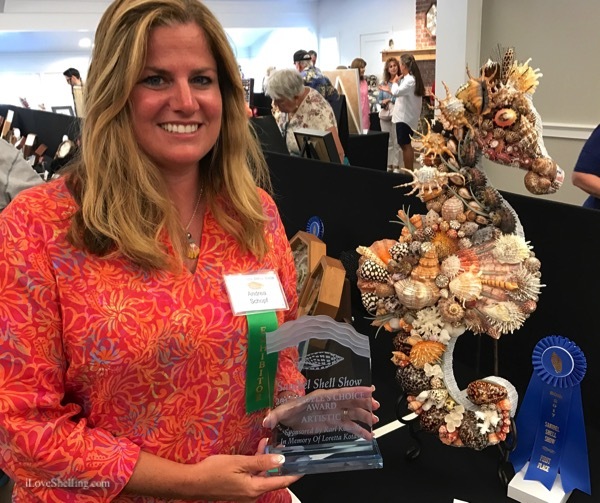 The shellovely Andrea Schopf and her shellcrusted SEAHORSE won People Choice Award for the entire artistic category. Boom Shellalaka! 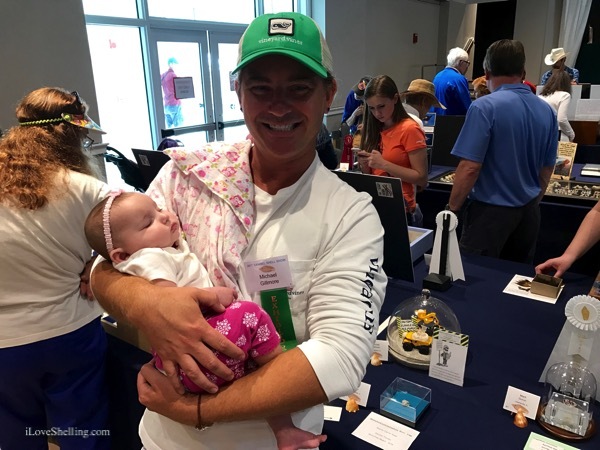 Michael Gilmore got to introduce his newest Sanibel sheller and future prize winner… sweet little Shellove Baby. And then this happened…. the ultimate Shellove! 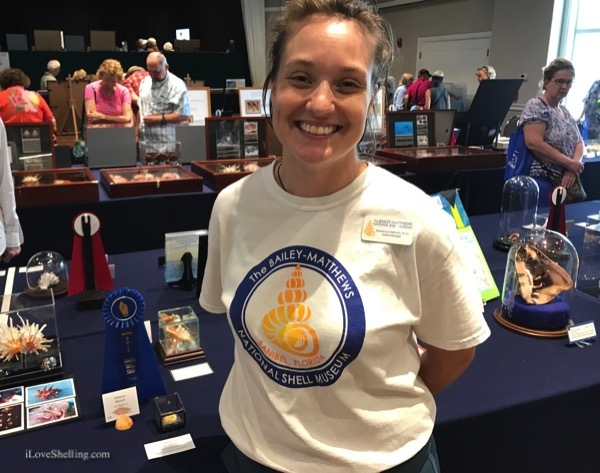 The Shell Museum’s marine biologist Stef Wolf was at the live MOLLUSK tank with her students educating the public about the lives of our favorite shells when…. 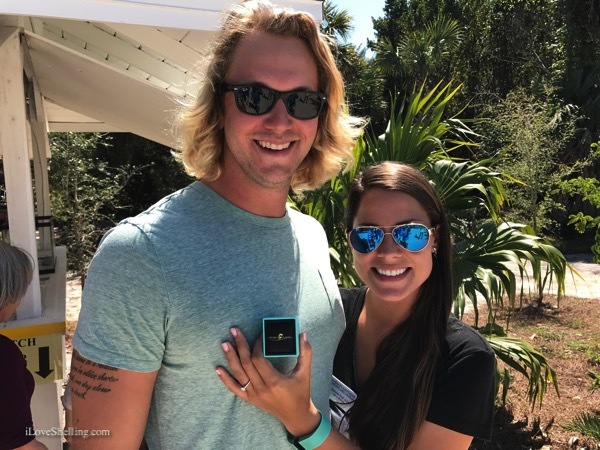 her boyfriend Steve Plein got on bended knee and asked her to marry him (with a stunning ring from Congress Jewelers- my fave!). She said YES! Best wishes to you both for a life full of good health and happiness. Wow, fabulous posts. Thank you so much! Wow — great news all round!!! Wish I was there! Such beautiful images Pam, thank you. 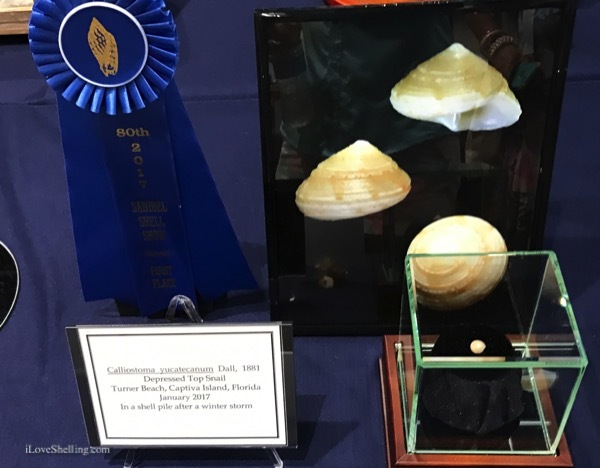 Pam, thank you for sharing some of the shells from the weekend. 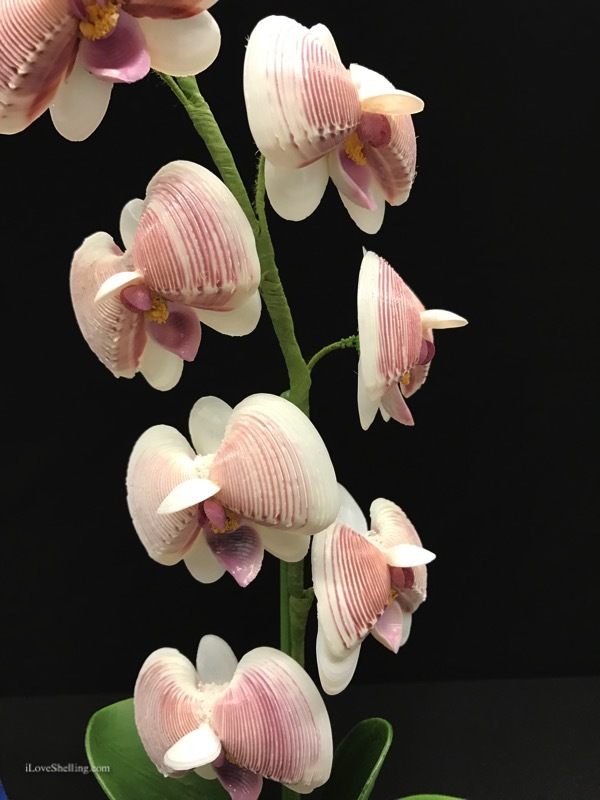 LOVE the orchid and the seahorse! Absolutely stunning! Beautiful. 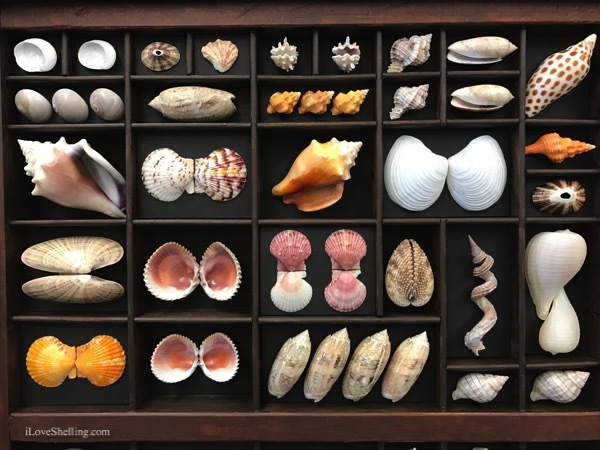 I was wondering what that shelf is called with the junonia shell is? Great seeing you, Pam. And the shell love bug is fabulous! The Community House renovation is really nice and we enjoyed the show. It’s always a highlight. I always look forward to this post Pam. Your pictures are beautiful and you capture so many different parts of the show that it’s the next best thing to being there! So sorry to miss it! Heading to Sanibel 3/13 – 3/23. Will the Shell Love Bug being making any appearances during that time? What a wk-end!!! Although I spent it caring for my spouse just out of the hospital, it was nice to get a few minutes with you at our beautiful Shellovebug!!!! Talk about a NATIONAL TREASURE!!!! Oh, sorry. I should have typed “Sandi”, not “Sandy”. Great pics as always, Pam. One day I hope to be there for the show in person. Till then…. thank you! Katherine, thanks for the info, I was worried. Thanks,Pam, once again you have united fellow shellers! Sandi c.
So great to meet you, Pam, at the festival! 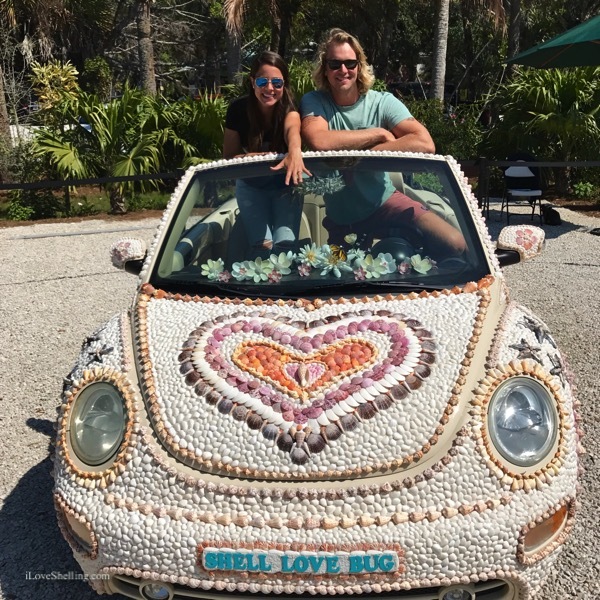 Loved seeing the Shell Love Bug–it was shelltastic! I look forward to going on one of your shell excustions next time I’m in Sanibel! Thanks so much Pam for sharing all the pictures for those of us who could not be there but wished we were! 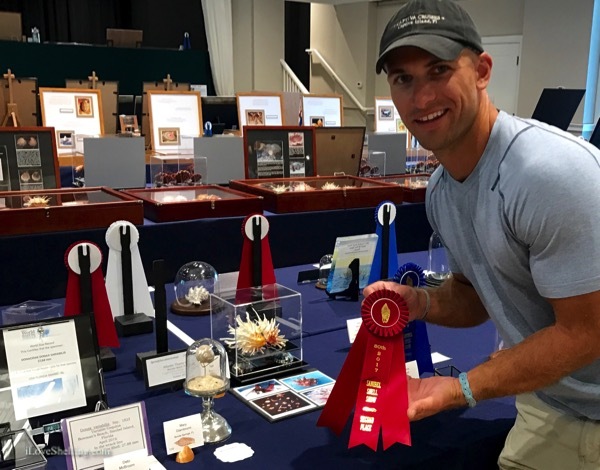 I missed the trip to cayo costa and the Sanibel shell festival but I promise i’ll be there next year with a lot of friends. I love seeing you and listening to all you have to share with everyone your such a pleasure to be around so I cant wait until next year in the mean while friends of mine will be calling you for the trip to big hickory I’ve told them about you and they saw you at the festival sue Holland and daughter chanin and grandson conner, I know they will have fun too. We loved seeing the she’ll love bug at the airport when we flew in on Easter Sunday! Gorgeous!! Yay!!! Soooo many people got to see it- fun!